Black Widow – This book has seriously gone down the sink hole with the new creative team. It’s sad, too, because Marjorie Liu did an awesome job on her first arc, only to be replaced by unimaginative drivel. I’m hoping the upcoming Widow Maker cross-over with Hawkeye & Mockingbird (another title biting the dust) writer Jim McCann will maybe breathe a bit of life into Black Widow, but I’m not optimistic. This may be beyond saving, as Marvel had clearly already given up on it with the end of the first arc. If the horrible front cover doesn’t give it away…. Halcyon – Huh? What?? Reading this title’s first issue was upsetting; I’d heard so much hype and praise, and it most certainly let me down hard. The thing is, it’s a great concept; I just find the execution sorely lacking. Not a fan of the art, not a fan of some of the lamer scenes, and ultimately closed the first issue without any love or attachment to the characters at all. I thought I might give this one another go next month, but honestly, I have better things to read. Like Return of the Dapper Men. 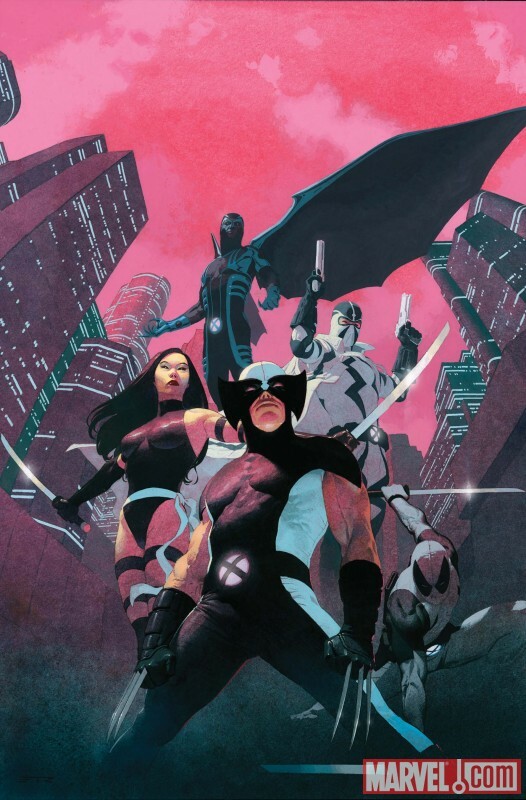 Uncanny X-Force – Now this is what I’m talking about! Issue one got me so excited; issue two just pumped it up further. This book is going to be a great ride, and I’m already waiting eagerly for #3. Rick Remender is on his game—the character interaction is fantastic; the concept and execution are clever; the artwork is fitting. Uncanny X-Force jumps to the top of my reading pile every time it comes out. This entry was posted on 12/03/2010 by ravenhaired. It was filed under Comic books, Reviews and was tagged with Black Widow, Halcyon, Jerome Opena, Marc Guggenheim, Marvel, Rick Remender, X-Force.